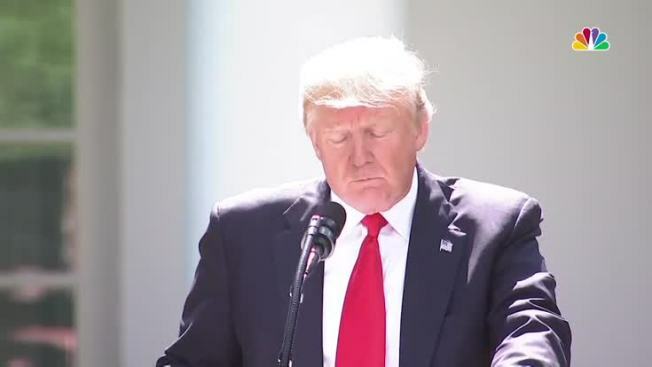 President Donald Trump, in announcing the U.S. withdrawal from the landmark Paris accord to combat climate change, said, "I was elected to represent the citizens of Pittsburgh, not Paris." Maybe he should have chosen a different city. Pittsburgh’s Mayor Bill Peduto, a Democrat, quickly tweeted that Hillary Clinton had received 80 percent of his city’s vote. "As the Mayor of Pittsburgh, I can assure you that we will follow the guidelines of Paris Agreement for our people, our economy and future," Peduto wrote. Peduto is part of a global coalition of city leaders committed to mitigating climate change in cities. Last year, before a lunch to discuss what the Paris accord would mean for Pittsburgh, the city's World Affairs Council cited his experience in building a new economy and making the city a leader in green initiatives. Its Office of Sustainability notes that Pittsburgh is working to reduce greenhouse gas emissions within the city limits and mitigate its contributions to global climate change. "We have already begun to experience the effects of climate change in Pittsburgh with colder winters, and we know Pennsylvania can expect longer and hotter summers, decreased winter snowpack and increased rainfall," the city’s website says. "We need coordinated, concentrated and comprehensive carbon mitigation action now to reduce the severity of regional impacts and prepare for a low carbon economy." It will take nearly four years for the United States to withdraw from the accord intended to curb emissions responsible for climate change. Trump said the United States would begin negotiations to re-enter the agreement or to reach a new treaty with better terms for the United States. "So we're getting out, but we will start to negotiate and we will see if we can make a deal that's fair," he said. "And if we can, that’s great. And if we can’t, that’s fine." Of the 197 parties to the United Nations Framework Convention on Climate Change, 195 signed the Paris agreement. Only Syria and Nicaragua did not, Nicaragua over concerns that it would not prevent the worsening of global warming. After Trump's announcement, Paris Mayor Anne Hidalgo tweeted her appreciation for Pittsburgh. "Once again @realDonaldTrump is wrong," she wrote. "#Paris & #Pittsburgh do stand together for the #ParisAgreement #Cities4Climate." Trump carried Pennsylvania in a close race -- a win driven by working class voters upset about the loss of coal and manufacturing jobs -- but in a recent poll he received poor marks on climate and the environment. A Franklin & Marshall University poll in May found that although the president gets strong support from Republicans and conservatives, just over half the state's voters gave him an "F" in climate change and the environment.